The rain stopped and the sun started to peak through the clouds as we arrived at Lake McDonald at the start of our Red Bus tour through Glacier National Park. This entry was posted on Tuesday, September 17th, 2013 at 12:02 AM. 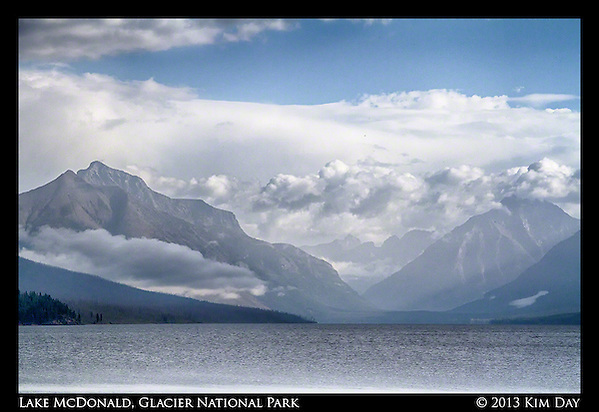 It is filed under Montana, Photo Of The Week and tagged with Glacier National Park, Lake McDonald, Rockies. You can follow any responses to this entry through the RSS 2.0 feed.